Is this to be the year of the anime visual novel? We’ve already had confirmation that the Psycho Pass game will make it to the West thanks to NIS America, and today PQube have announced that they’re releasing Steins;Gate 0 in English. What next? 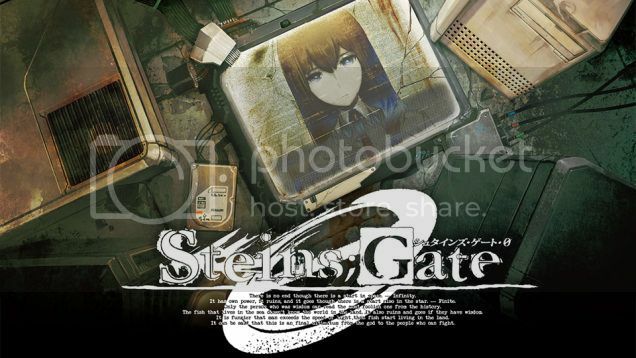 The first Steins;Gate game is already available in English-speaking parts of the world, and quickly became something of a cult favourite. In case you’re unaware, the anime (which came after the game) revolves around time travel, and is really rather jolly good. What starts off as a fairly standard anime tale of stereotypes and weirdness matures into a gripping tale of intrigue and anguish, where the protagonist travels through time again and again on a seemingly impossible mission to save the life of an entirely innocent young woman. A woman who he has to watch die again, and again, and again, as he fails to save her each time no matter what he tries. Steins;Gate 0 is a sequel-but-not-actually-a-sequel, as the whole time travel thing allows. The events of 0 take place in an alternate timeline, and the game features the intriguing idea of Amadeus, described in the press release as “a means of interacting with the stored memories of a fellow human being”. Colour us extremely interested, and very much looking forward to the as-yet-unspecified release date that sits somewhere in 2016 for PS4 and even the Vita.